Lady and the Blog → Travel → Travel Blogging → Conde Nast Traveler and Norwegian Cruise Line – Upping The Ante For Family And Kid Entertainment! I was able to attend a lovely event sponsored by Norwegian Cruise Line and Conde Nast Traveler at the awesome Conde Nast Headquarters in Times Square. We had the priviledge to hear from Carolyn Kremins, V.P. and Publisher of Conde Nast Traveler; Wendy Perrin, author of the great column The Perrin Report; and Kevin Sheehan, CEO of Norwegian Cruise Line. 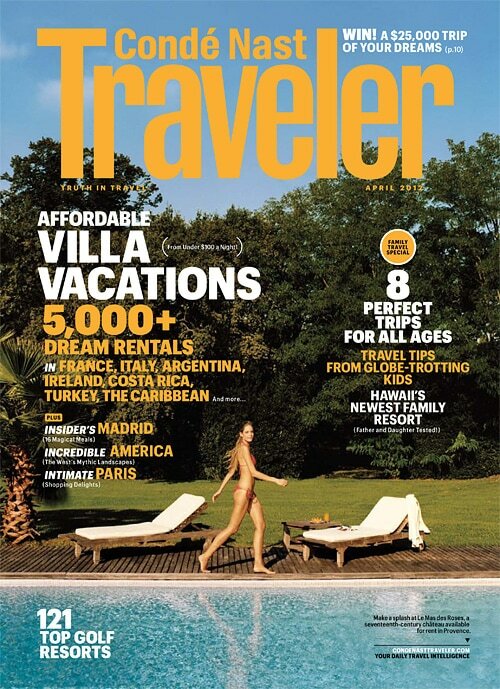 Conde Nast Traveler has just released their fabulous, first-ever Family Travel edition (April 2012)! It talks about all the things that parents seem to freak out over and why not to…dealing with long flights, things to do at places that don’t have “theme” and “park” in their name (though this is great, too), finding unique things to do so that the trip is fun, educational, and memorable for the entire family. They cover a group of reader favorite destinations very nicely, including: Bali, Buenos Aires, Cape Town, Florence, Kyoto, Paris, Vienna, and African Safari. There’s also a great feature on how to land a great, affordable villa in places like St. Bart’s, England, Costa Rica, and Turkey. I really think this is a great introduction to the magazine for people not familiar with it…and it’s great for families nervous to take their kids on trips “exotic” in nature! Check it out. Next, we had a wonderful presentation from Norwegian Cruise Line’s CEO, Kevin Sheehan. He spoke about NCL’s commitment to making family travel on their ships as wonderful as possible. To that end, they are rolling out a greatly bigger and better youth and teen program along with an enhanced family (the whole family) fun programs. Thanks to their “Up2YOU” naming contest, the kids that responded got to name NCL’s new youth and teen programs. The enhanced and expanded offerings began in February on the Gem and are being rolled out to all ships in the NCL fleet. Both Splash Academy and Entourage will feature a different theme each day – oceans, pirates, space cowbuys, jungle fever, or circus. There will be a focus on creative and unique activities, along with more sporting events through a partnership with UK-based King’s Foundation and Camps. Sports include soccer workshops, icebreaker action games, and physical challenges. The teen program features bowling tournaments, soccer challenges, and dodge ball under the stars. Theater and arts are also featured with activities including improv acting classes, puppet shows, and acting as specialized roles such as a spy in Superspy Mission Impossible. One major highlight is NCL’s circus school in partnership with NY-based Hilarious Productions Cirque du Jour, a company who’s founders are veteran Ringling Bros. performers. The program specializes in teaching kids real circus skills such as balancing feathers, juggling, plate spinning, Chinese yo-yo. The programs offered are both youth-only as well as for the entire family. The enhanced programs are available on the Gem now. The program roll out will be as follows: Jewel on April 21, Star on May 6, Dawn on May 25, Epic on May 27, Pearl on June 17, Jade on June 30, Sky on July 16, Sun on July 24, Spirit on August 14, and Pride of America on August 25. 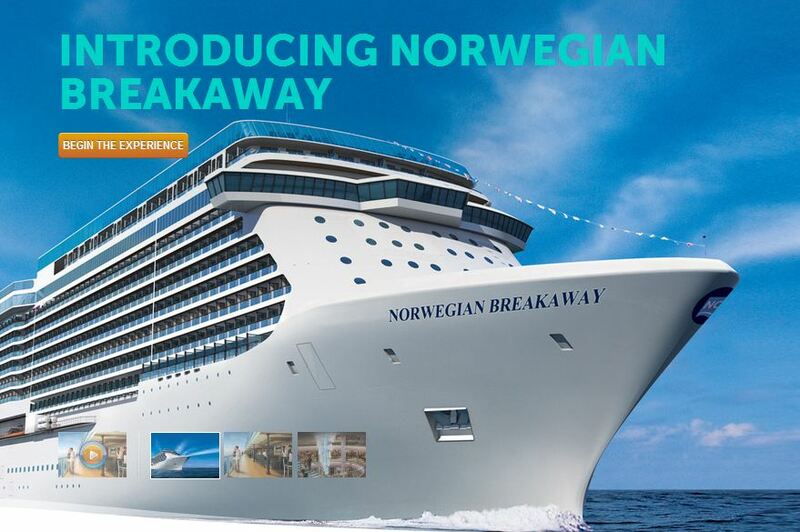 NCL also spoke about their brand new ship that will continue to “break the mold.” Set to debut in April 2013, the Breakaway will take all that NCL has built for family fun, and make it even bigger and better. The Breakaway will have the largest youth and teen dedicated facilities of the entire fleet, perhaps of any cruise ship. The Splash Academy will be on 2 dedicated decks adjacent to family friendly staterooms. Entourage will have its own deck. Babies and Toddlers under 3, along with parents, will have their own dedicated away space, too. To top it off for us, the ship will sail year round from New York City! In the summer, trips will be from NYC to Bermuda while the trips in the winter will be to The Bahamas and Florida and the Carribbean. For more information of these great programs and the new Breakaway, visit Ncl.com/family and Breakaway.ncl.com!